The start of the most ambitious space exploration project since the moon landings has been announced. Led by billionaire Russian philanthropist Yuri Milner alongside astrophysicist Stephen Hawking, Starshot - the latest of the Breakthrough Initiatives - aims to send unmanned spacecraft to our nearest star system, Alpha Centauri, to search for Earth-like planets capable of sustaining life and to find out if we really are alone in the universe. "For the first time in human history we can do more than just gaze at the stars, we can actually reach them," said Milner. As Alpha Centauri is 4.37 light year away, which works out at 25 trillion miles, it would take about 30,000 years to get there using current methods. But thanks to a small fleet of laser-propelled ‘nanocraft,’ it may be possible to reach our neighboring star system in about 20 years from launch. The idea is that these 'StarChip' spacecraft, which are only slightly larger than a postage stamp, will be built out of a "gram-scale" silicon wafer and carry “cameras, photon thrusters, power supply, navigation and communication equipment, and constituting a fully functional space probe." If the project becomes a reality, the StarChips will be carried into space by a mothership. Once in orbit, they will unfold thin sales and be propelled to 20 percent the speed of light by an array of lasers fired from Earth. These lasers will also be able collect the information that the crafts send back. Power for the craft would come from a tiny radioactive source like americium, the element in smoke detectors. 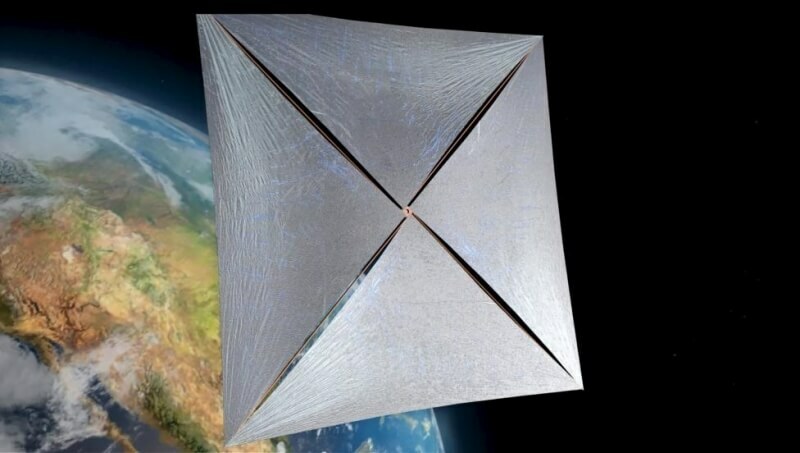 The Starshot team includes physicist Freeman Dyson, producer Ann Druyan, astronaut Mae Jemison, Harvard physicist Avi Loeb, and former director of NASA’s Ames Research Center, Pete Worden. In addition to Milner and Hawking, the third member of the project’s board is Facebook CEO Mark Zuckerberg. The $100 million project is still in the proof of concept stage. Milner and the rest of the Starshot team believe it will take 20 years before the ships are ready to leave Earth. The project does have an immense number of obstacles to overcome, but Breakthrough Starshot could be the first step on a very long road that leads humanity away from our home planet.